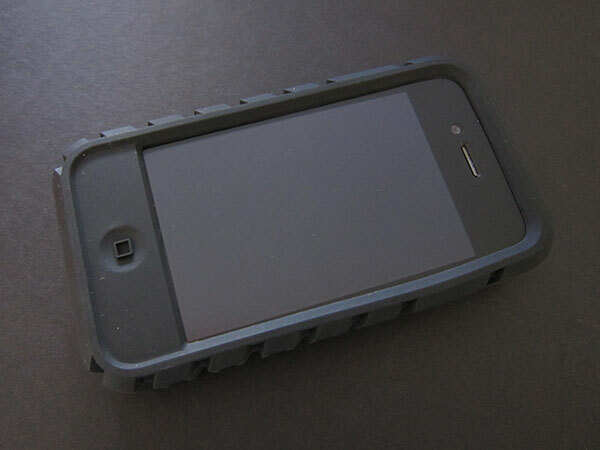 Speck finally released their version of the ToughSkin for the iPhone 4, a very bulky and tough silicone case. I actually love the way Speck designed this iPhone 4 version of the ToughSkin a lot more than past iPhone versions. This case will definitely give you some piece of mind knowing all that rubber is going to give you some serious drop protection. Even the front home button area is covered up. Looks like you're going to get great drop protection overall, if you're willing to double the size of your iPhone 4 that is. The Speck ToughSkin will be on sale soon, no price or official release date announced as of yet.